Using data from a recent survey of Australian secondary students, we find that those from higher socio-economic backgrounds are more likely to aspire to attend university. The same can be said for students who do not speak English at home. We find that students with an ethnic minority background are more likely to perceive higher levels of support from parents. However, we find that all students believe they receive encouragement from their parents to do well at school (rather than discouragement or disinterest), and that there is little difference in the level of importance placed on the views of parents between students from English and non-English speaking background. 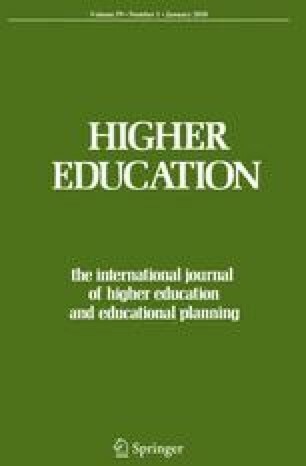 While interest in university education is strong across all socio-economic groups, particularly for students who do not speak English at home, there is a considerable gap between aspirations and enrolment levels. We suggest that this ‘aspirations gap’ is larger for students from low socio-economic backgrounds. This analysis also supports growing evidence that the postcode methodology for allocating socio-economic status to individuals is unreliable. The Aspirations Online research project was sponsored by the former Equity and Social Justice Branch at Victoria University. A number of colleagues have worked on aspects of this project. In particular we would like to thank Dr Jo Vu, School of Economics and Finance, Victoria University and Denise Bett, Manager of the former Equity and Social Justice Branch, Victoria University and leader of the Aspirations Online Project Team. We would also like to thank Kate O’Rourke, Kathryn O’Rourke, Katia Honour, and Peter O’Callaghan for their contributions to the Aspirations Project. Finally we wish to thank the anonymous referees for their useful comments. All errors and omissions remain our own. Benjaminsen, L. (2003). Causality and sociological models: On relational structures and cognitive rationality. 6th ESA Conference Murcia 2003. http://www.um.es/ESA/principal_ingles.htm. Cardak, B. A., & Ryan, C. (2006). Why are high-ability individuals from poor backgrounds under-represented at university? Social Science Research Network, http://ssrn.com/abstract=914025. Department of Education and Early Childhood Development. (2008). On-track: Keeping young people’s futures on track. Online access http://www.education.vic.gov.au/sensecyouth/ontrack/data.htm. Jones, R. G. (2001). Identifying higher education students from low socio-economic status backgrounds and regional and remote areas. Canberra: Department of Education, Science and Training. http://www.dest.gov.au/archive/highered/eippubs/eip02_4/index.htm.